It's once again time to look at the best deals on green cars. As we get further into the 2017 model year, manufacturers are becoming more eager to eliminate leftover inventory of 2016 models, creating some good opportunities for bargain-hunting car shoppers. As always, our list spans hybrids, plug-in hybrids, electric cars, and fuel-efficient internal-combustion cars. Toyota continues to offer generous incentives on its flagship Prius hybrid as it rounds out its first year after a complete redesign. The 2016 Prius is now available to lease at $189 a month for 36 months, with $1,999 due at signing and an allowance of 12,000 miles per year. This offer, which runs through December 5, represents a $10 cut in lease payments compared to last month's best offer. While the 2016 Prius is a fairly new model, the 2016 Kia Optima Hybrid mid-size sedan is based on a design that is being phased out. Kia dealers are now beginning to stock the 2017 Optima Hybrid, which is based on the updated Optima body that is already used by non-hybrid models. 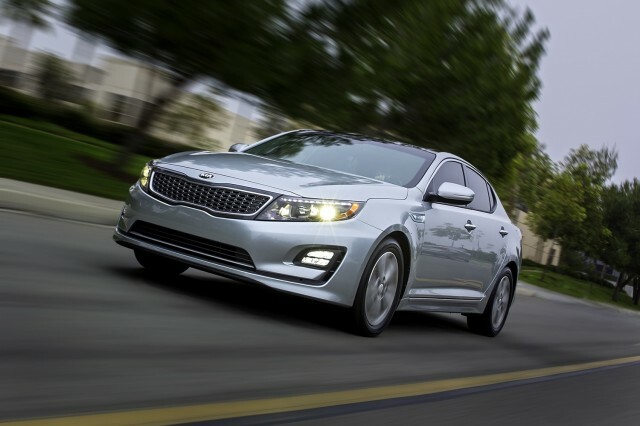 Buyers willing to settle for the outgoing generation can lease a 2016 Optima Hybrid for $163 a month for 24 months. This offer includes a down payment of $1,999, and a limit of 10,500 miles per year. As with the hybrids, we also have a mid-size sedan option to look at this month. It's the 2016 Hyundai Sonata Plug-In Hybrid, which gets a handful of incentives through the end of the month. Hyundai is offering a $3,500 rebate on its plug-in hybrid sedan, as well as a $1,500 bonus to any shoppers coming from a competitor brand.